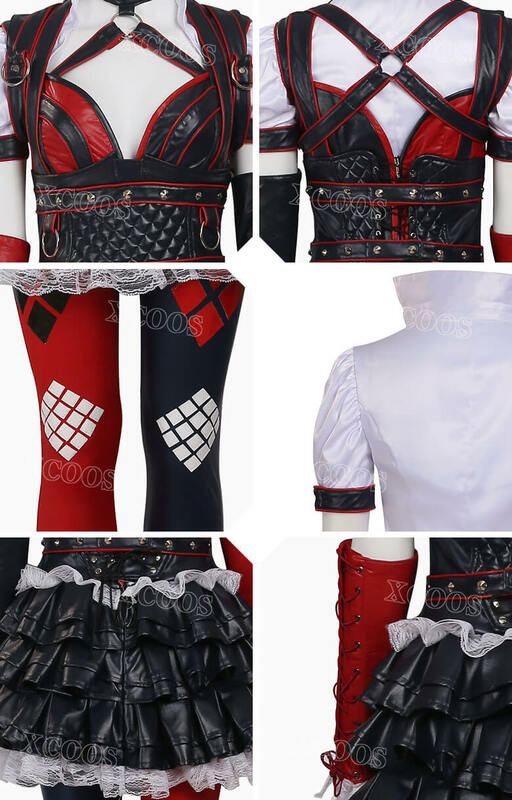 If you are looking for the perfect costume for Halloween, this tailor-made Harley Quinn Cosplay Costume would be the right choice. 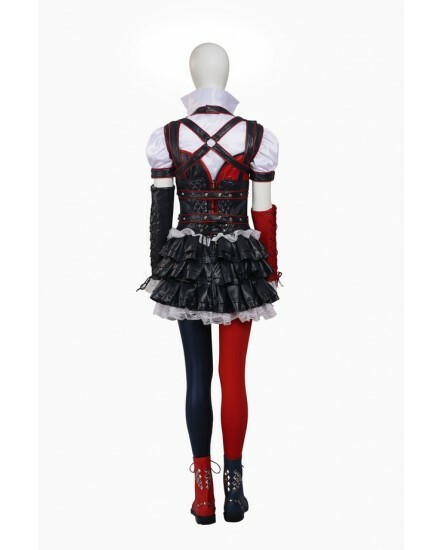 It is an extremely stylish costume which looks really attractive when you wear it. 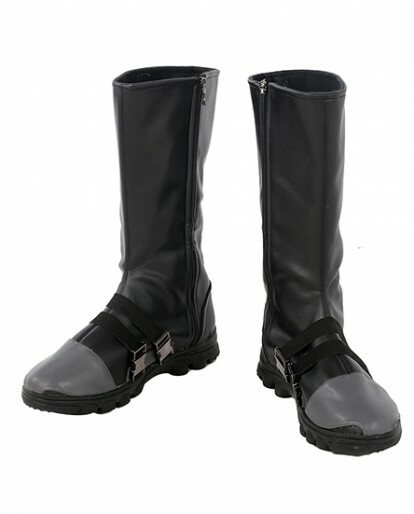 And it is available in all sizes but you also can have it customized to fit you best. 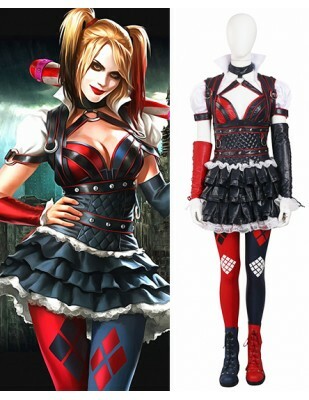 This stylish Harley costume comes with high quality and comfortable to wear.Ready to be a bad girl? 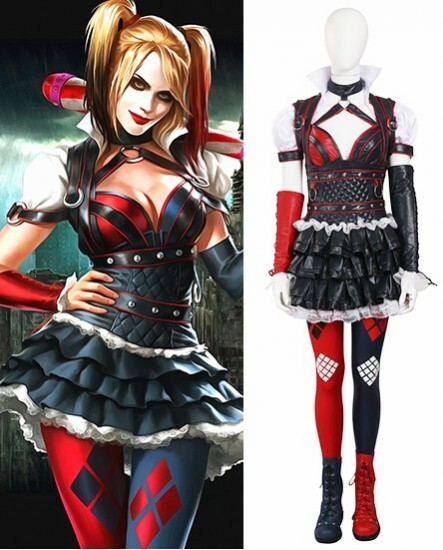 The Batman: Arkham Knight The Joker Harley Quinn Cosplay Costumes are very funky and appealing on the first sight, since the character itself was also very funny as well. 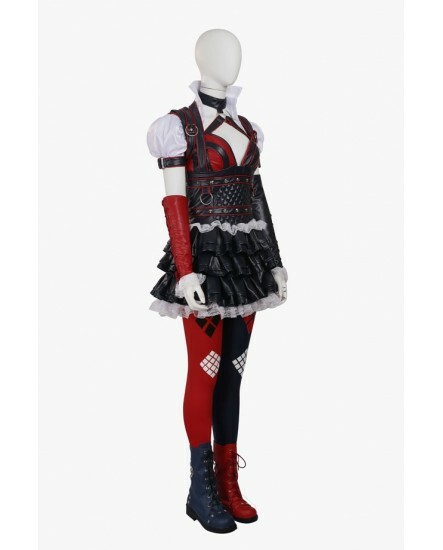 This maid's look Harley costume has been manufactured with the usage of the synthetic leather and knit as well and is slim fit in the layout. The neck choker had a metal hoop, to which more leather straps from her arms went to, as well as more looping around each shoulder. We adorned the mostly black skirt with white lace on the top and bottom,as also the armbands. 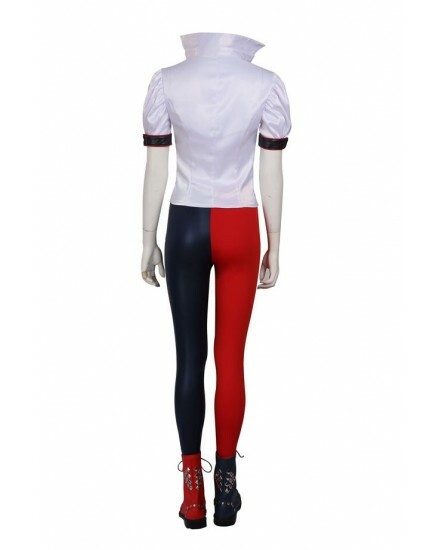 The tight is black and red with diamond patterns on it. 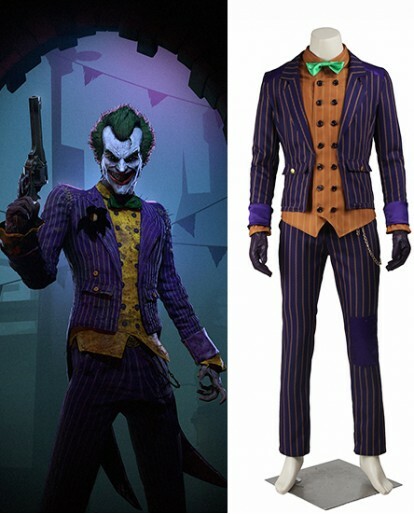 And the two more straps around the stomach make the Harley Costume resizable. 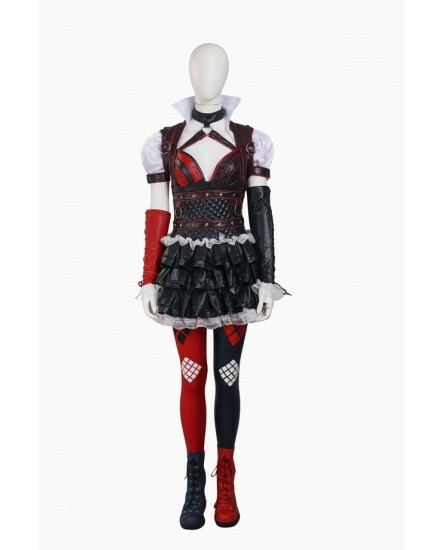 If you want the costume more fit, we can tailor made the costumes not too loose or tight for you according to the information you provide. 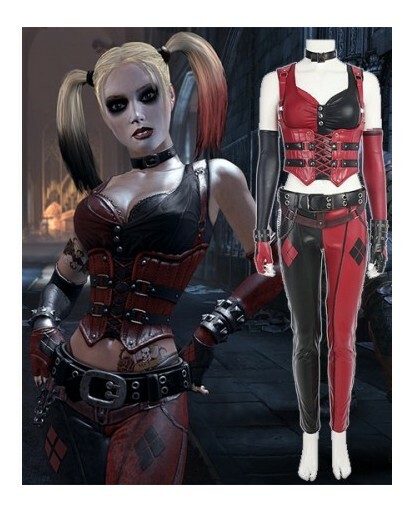 Finish the whole Harley look with an original and unique wig, a harley make-up. 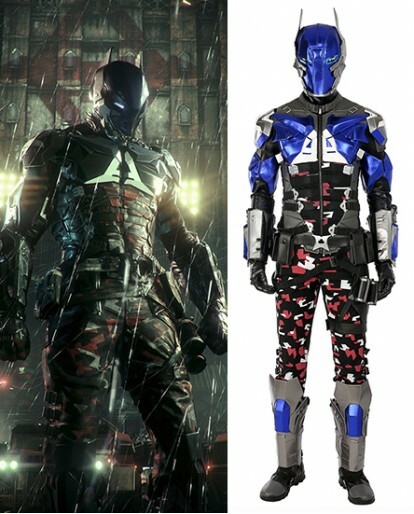 You'll be ready to be the Harley in reality. · Color or size problem. 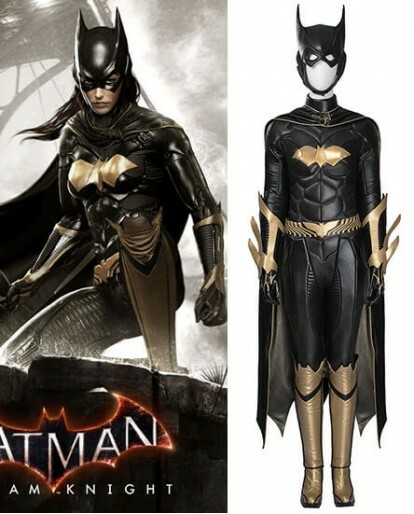 · Missing and damaged package. · Product differe=s from the description. Top, Pant, Skirt, Armgurads, Belt. 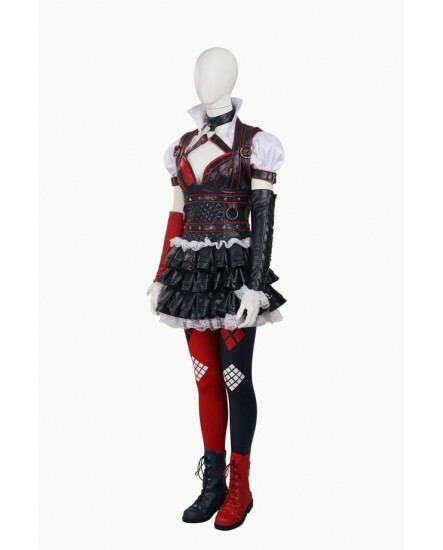 Please click HERE to get the avaiable shoes for this costume. Great! Got here 3 days earlier than expected! Will buy from seller again! Great product just as described!! EXTREMELY Fast shipping...thanks! !